Boston, MA residents. 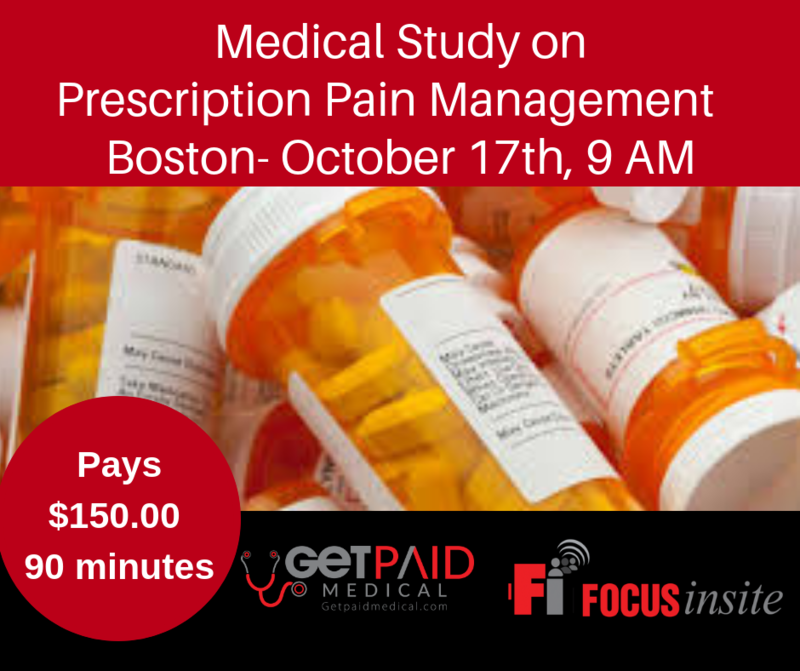 We are conducting a study on Pain Management and looking for participants who are currently prescribed medication to manage pain. This is an in-home study and for 90 minutes of your time, you will be compensated $150.00. If you are interested please fill out this link and someone will be in contact to schedule, should you qualify.